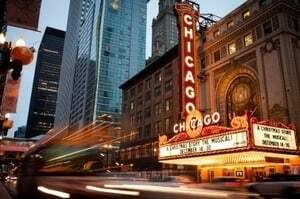 Chicago draws millions of visitors every year to its downtown and suburban areas. Some come for the Michigan Avenue shopping, bustling nightlife, renowned restaurants and games with the Cubs, Sox, Bulls or Bears. Whatever your interests, Chicago really seems to offer something for everyone! Insurance companies relish in the fact that an accident may involve a person who lives far away from the scene of the accident. Knowing that many people who are injured in Chicago may be unwilling or unable to come back to the City, insurance companies are known for making low-ball offers for cases involving substantial injuries. As lawyers who litigate cases throughout the states, we know the real value of cases and what a person is entitled to under Illinois Law. We will take the steps necessary to present the most favorable documentation to the insurance company to ensure that your case is best positioned for a favorable and expeditious resolution. Will You Need To Come Back To Chicago For Your Injury Case? Many of our accident cases are able to be resolved during direct dealings with the insurance company for the at fault party. In these situations, the injured person would not likely to have to come to Chicago for any reason. If a lawsuit is required, the injured person may have to come to Chicago (or the area in Illinois where incident occurred) during some points in the litigation process such as a deposition, mediation or trial. Our lawyers understand this inconvenience and take all possible steps to schedule dates and times for these events that are convenient for you. Can I Retain A Chicago Accident Attorney If I Don’t Live Close By? Absolutely. While we always enjoy meeting our clients face-to-face, it many simply be unfeasible for you to make it to our office. Thankfully, technology such as email, phone and video conferencing now allows us to communicate with clients regardless if they live across the country or even outside of the United States. Our office prides ourselves on using the latest technologies to our advantage and will take whatever steps necessary to provide you with the best representation for your case. Rosenfeld Injury Lawyers LLC has represented residents of other states and countries in tort law cases originating in Illinois. If you were injured in Chicago or another city in Illinois, we can help advise you of your legal rights and options to pursue your case. As Chicago accident attorneys, we are proud of the fact that many of our Chicago visitor cases come referred to us by attorneys in other states who direct clients to our attention. We recognize this as a sincere vote of confidence in our work. If you are an out of state resident who was injured in Chicago, give us a call or complete our contact form and we will be happy to talk with you about your case without any cost or obligation to use our services.